Happy CMA Fest Week, everybody! For those of you who’ve never been, CMA Music Festival is four days (officially) of pure country mayhem. 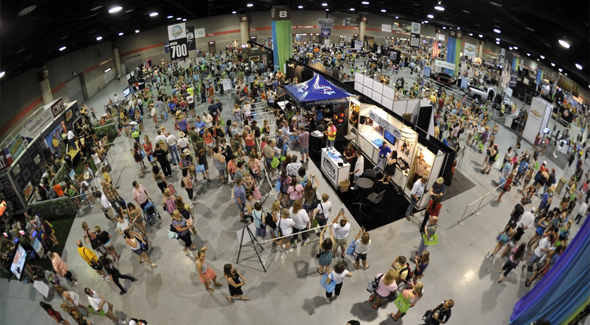 There are at least ten events going on at one time throughout the days, and the nights at LP Field are filled to the brim with the biggest stars in the genre. You’ve probably already started planning if you’re anything like us, but if not, here are the places you got to go. Though it isn’t technically the first day of CMA Fest, there are tons of fun happenings in Downtown Nashville this coming Wednesday. 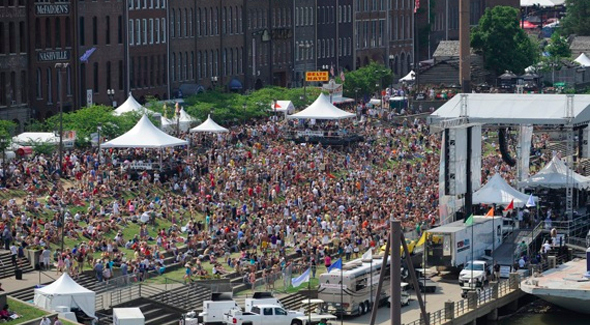 CMA and SiriusXM’s The Highway will be hosting the Kick-Off Concert at the Chevrolet Riverfront Stage 10 am to 7 pm. It’s a free event open to the public with artists like A Thousand Horses, Canaan Smith, Parmalee, Clare Dunn, Haley & Michaels, Dallas Smith, Old Dominion, and many more. For anyone who’s sad Chase Bryant won’t be at this year’s CMA Fest, head to the Country Music Hall of Fame and Museum for an exclusive performance and signing with up-and-comer from 11 am to 1 pm. 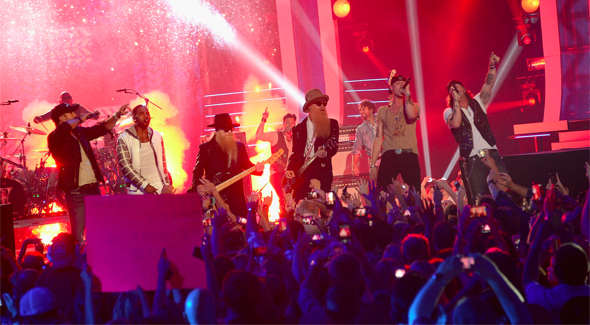 And how could we forget about the CMT Music Awards? One of the most fun country music award shows isn’t sold out yet, so if you want to go, go! However, for an cheaper price, you could go to the Official Fan After Party at Avenue to see Chris Janson, Michael Ray, and the Railers. Let the games begin! 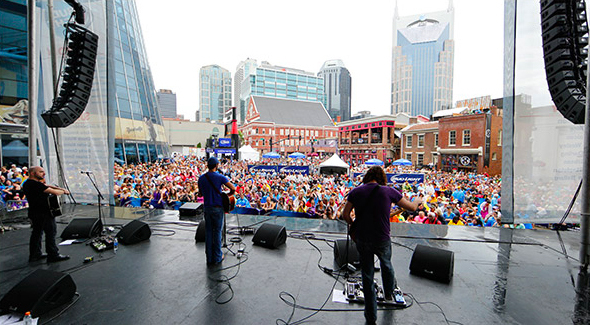 Being the first official day of CMA Fest, Thursday is action-packed this year. We’re going to be jumping from stage to stage, and we’re sure you’ll be, too. Kick off your day at the Gildan Broadway Stage at Hard Rock Café with our favorite duo Halfway to Hazard at 10:45 am. Some other great acts like Courtney Cole and Levi Hummon will be playing there in the afternoon. Alternatively, go check out Gwen Sebastain at the Bud Light Plaza Stage where A Thousand Horses and Jana Kramer will perform later in the day. Over on the Chevrolet Riverfront Stage is a jam-packed line up with Ashley Monroe, Maddie & Tae, Rodney Atkins, and other amazing artists. If you’re dying to get out of the heat, check out some of the artists playing over at the AT&T U-verse Fan Fair X stages. Mickey Gilley and Love & Theft will be there, and Little Big Town is even doing a Q&A earlier in the day. The Country Music Hall of Fame is also hosting a CMT Next Women of Country panel, performance, and signing. If you want to see country queens like Kelsea Ballerini and Angaleena Presley in one place, this is where to go. Grab your passes for the event at 10 am before they run out. Hunter Hayes fans rejoice, for today is your day. You have both a Q&A and performance over at the Fan Fair X on the CMA Close Up Stage, and Hunter is hosting his very own Iced Coffee House experience over at Omni Hotel’s Bongo Java. Brett Eldredge is also having his fan party at Avenue, though his is sold out. No matter where you are at 12:45 pm, you’re going to see some awesome women. Kelsea Ballerini, Angaleena Presley, and Kellie Pickler are all performing on different stages. We’re still having a hard time picking who to see! Also performing on different stages throughout the day are RaeLynn, Cam, Brooke Eden, Laura Bell Bundy, and Sarah Darling. Some killer songwriters are also going to be at CMA Fest today. Eric Paslay will be hitting the Chevrolet Riverfront Stage at 1:30 pm, and you can check out some SESAC Songwriters at the CMA Close Up Stage. After all the festivities in the afternoon, there’s a super solid line-up at LP Field starting at 7:55 pm. Get ready for a party, because it’s officially the weekend! Day three has arrived, and you are probably exhausted by now, right? Well, too bad. There’s so many happening on Saturday morning that you’ll want to get out of bed early! This year’s City of Hope Celebrity Softball Game is going to be a star-studded event for a great cause, so what excuse do you have not to go? Besides, why wouldn’t you want to see Lauren Alaina and Chuck Wicks play a game of softball? It starts at 9 am, so set your alarm clocks. Also early in the day, Warner Music Nashville will be hosting a Yard Sale at Avenue beginning at 9:30. If you want to grab some merch, here’s your chance. Some of our Shotgun Seat favorites will be performing today. Maggie Rose will be at the Chevrolet Riverfront Stage around 11:15 am, while Aaron Watson will be performing twice. His Riverfront Stage set is at 12:45 pm, and a smaller show will be held at the AT&T U-verse Showcase Stage in the Fan Fair at 2:15 pm. Check out John & Jacob at 11:25 pm on the Gildan Broadway Stage at Hard Rock Café if you want something unique. These guys just got off the road with Kacey Musgraves, and they are killer. Congrats on making it to the last day of CMA Fest! It’s a bigger accomplishment than you ever realized, we know. Still, there’s one more day left to do all you can do, so make it count! The country heartthrobs today are strong. It starts at 12:05 pm over at the Bud Light Plaza Stage with Michael Ray, goes over to the Chevrolet Riverfront Stage for Dustin Lynch at 12:45 pm, and then finishes up with Canaan Smith at 2:15 pm on the Riverfront. You know by now that people will be giving out free fans in the Buckle area along Broadway—trust us, you’ll need them. 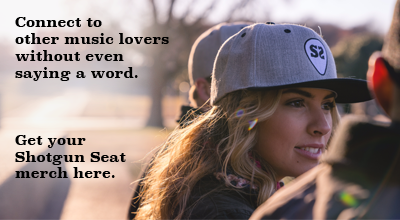 Speaking of the Buckle, why not take a break from stage hopping? The Buckle offers three blocks of free food samples, karaoke, and giveaways. Not to mention, the bars will have air conditioning. Just what you need after a long CMA Fest.